For unknown reason since time immemorial, these eyes of mine have always been the adept scout for spotting hidden restaurants. 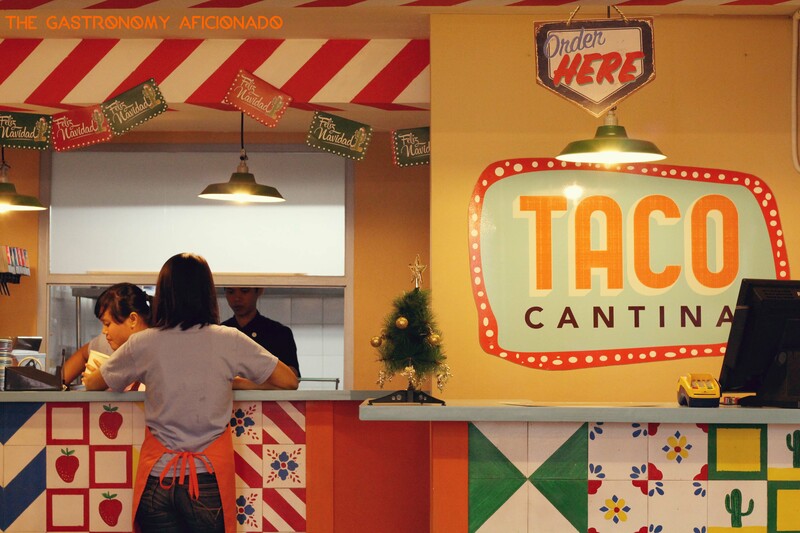 Well, to tell you the truth, Taco Cantina is not that hidden but its micro size might put it that way. Even so, its colorful presentation will surely help anyone to spot it in the end, which is cute by the way. As I entered, everything was washed in orange and the tiles that they use felt like they were bought from a famous tilemaker in Solo. Colorful and in pattern, but perhaps too simple. 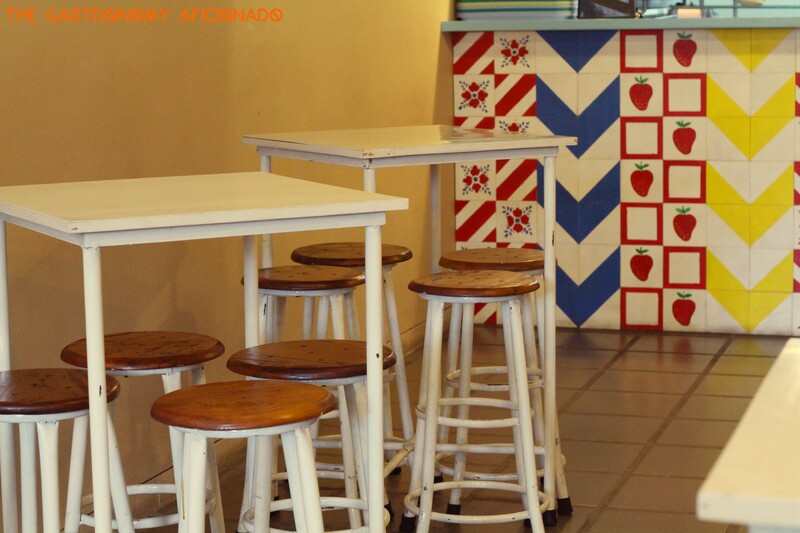 The furnishing is simple and retains the feel of a food truck or cantina to be exact with the name. High dining tables with classic tools for around 30 Latin music lovers at best can be accommodated here at Taco Cantina. 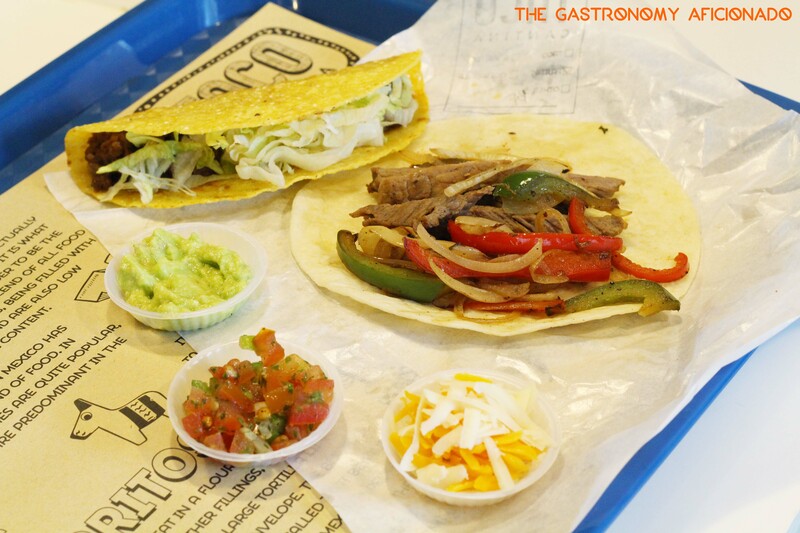 The food comprises of casual stuff you will mostly found in Mexican food trucks, found on other parts as well in Jakarta. I have always been under impression that Mexican food is a bit more expensive. Is it always like that or not, well you guys surely can help me here. I actually enjoyed the food a lot as I had a small taco with great complements from the cheese, the pico de gallo, and the guacamole. My wife also enjoyed her small fajitas but it was all very small sih for almost 90,000 rupiahs alongside two drinks. But anyway and honestly, I enjoyed it a lot. The taste feels quite original, the meat quite fulfilling and all was well-made. So if you happen to pass the western part of Tebet where restaurants are sprawling here, you’ll find in-between them a small cantina and that’s where you might want to stop and enjoy your petite Mexican treat once in a while.